Mrs. Valissa Maas was born in Minnesota, but has lived all over the world, including Poland, France, and Saudi Arabia. Living abroad kindled her love of travel, languages, and being immersed in different cultures. These experiences inspired her undergraduate degree in French Education, and later, her Master of Arts in English as a Second Language. While Mrs. Maas was teaching ELL, she discovered her passion for teaching reading. 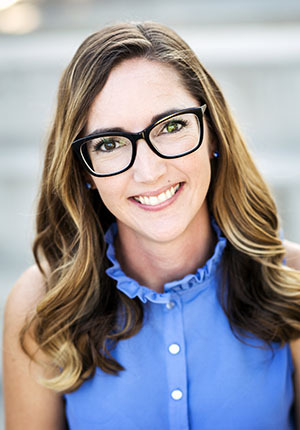 When her family moved to Arizona, she took the opportunity to pursue her passion and graduated from ASU with a Master of Arts degree in Literacy Instruction and Curriculum. At New Way, she enjoys sharing her love of literature with her students and fostering their enthusiasm for reading. In her free time, Mrs. Maas enjoys traveling with her family, getting lost in a great book, and playing with her fur-baby, an adorable Cavalier, named Laeta.